Social media has transformed the homebuying process in recent years, making it possible to identify, view and get advice and opinions on new homes without ever leaving the comfort of your current home. Facebook, Houzz, YouTube, GreatSchools.org… One thing is certain. 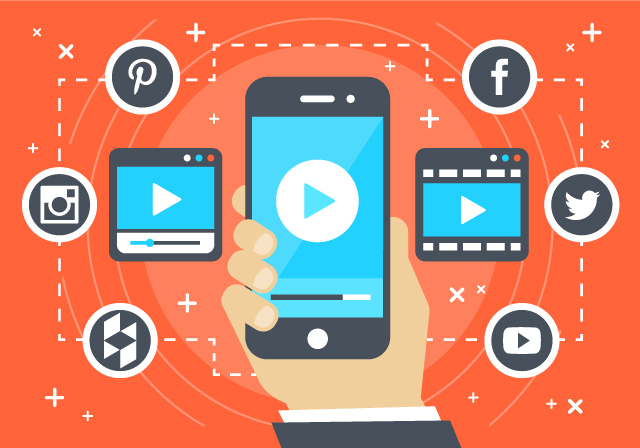 There is no shortage of social media tools to help today’s homebuyers home in on their dream dwellings more quickly and efficiently than ever before. Following are some of the most popular social platforms for prospective homebuyers. Chances are, you’re already using one or more of these to connect with friends, family, associates and even local businesses. So why not utilize these sites to simplify your new home search? Grab your laptop or mobile device and your new home wish list and let the house hunt begin! Many homebuilders and real estate agents use Facebook and Twitter to inform prospective buyers of new neighborhoods, community amenities, available homes, upcoming events (e.g., open houses, holiday parties), special offers, industry news and more. Search for area builders and agents and “friend” or “follow” them for updates. You can also use these platforms to connect with community associations and HOAs and toss out questions to friends, followers and others who may have had experience with particular builders and communities in your desired area. Wondering what these social media platforms have in common? All three offer home-related “eye candy” that prospective buyers will likely appreciate. Many builders, real estate agents, homeowners and sellers use Pinterest, Houzz and Instagram to showcase interior and exterior home photography. This can provide buyers with a sneak peek—or, in some cases, an in-depth look—at finishes, fixtures, furnishings, floor plans, community amenities and more. Pinterest even permits users to post links to video tours! And speaking of video tours… YouTube is the place to view all kinds of online videos. 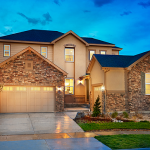 So it should come as no surprise that many homebuilders, agents and sellers use the popular platform to post virtual home and community tours. A quick search for new homes, new homebuilders or new communities in your area should reveal a wealth of options. What a great way to get a feel for a space or place before committing to go there in person! Your online house hunt will likely take you to local builder websites. While there, check to see if they have blogs offering information and advice on a wide range of topics that appeal to homebuyers and homeowners. Such blog stories can give prospective buyers a better feel for the builder and the level and quality of service they offer. There are a number of other social media resources that can aid in your home search. Sites such as Google Maps can help you gauge potential commute times, and GreatSchools.org can provide insight into neighborhood school districts. Want to check out community crime data or find a neighborhood that’s comparable to the one you currently live in (your “twin neighborhood”)? Head on over to NeighborhoodScout.com. Want to scope out area businesses, restaurants and shopping? Yelp.com to the rescue! Keep following our blog for more resources for buyers and be sure to check out all of our exciting social media channels!